While obtaining an appointment to USAFA is extremely competitive and completing the four-year course of study is monumentally challenging, it will give you the best opportunity to get into Specialized Undergraduate Pilot Training (SUPT). The Air Force Academy produces about 20% of the Air Force’s new officers each year, but receives 50% of the Air Force’s pilot training slots. Almost one half of USAFA grads go on to SUPT. Photo Courtesy of the United States Air Force Academy. Each member in a new class of 1,150 cadets had to compete with approximately 10,000 other highly-qualified applicants to gain an appointment. In addition to meeting stringent academic qualification, candidates must pass a physical fitness test and medical evaluation. All candidates (with a few specific exceptions) must also receive a nomination from either their U.S. Senator, U.S. Congressional Representative, the Vice President or the President. While in high school, future cadets also demonstrate the ability to work with diverse groups and are active in their communities with leadership roles in student government, church youth groups and various charitable organizations. Let me introduce and break down the four areas personal development USAFA addresses, starting with the academic program – arguably the most important of the four. The Air Force Academy is a fully accredited, four-year college ranked among the best in the United States. US News and World Reports “America’s Best Colleges 2013” lists USAFA in the top 25 Best Liberal Arts Colleges and as the #4 Undergraduate Engineering Program in the country. Forbes Magazine rated USAFA as the 31st best Undergraduate Institution in the nation. 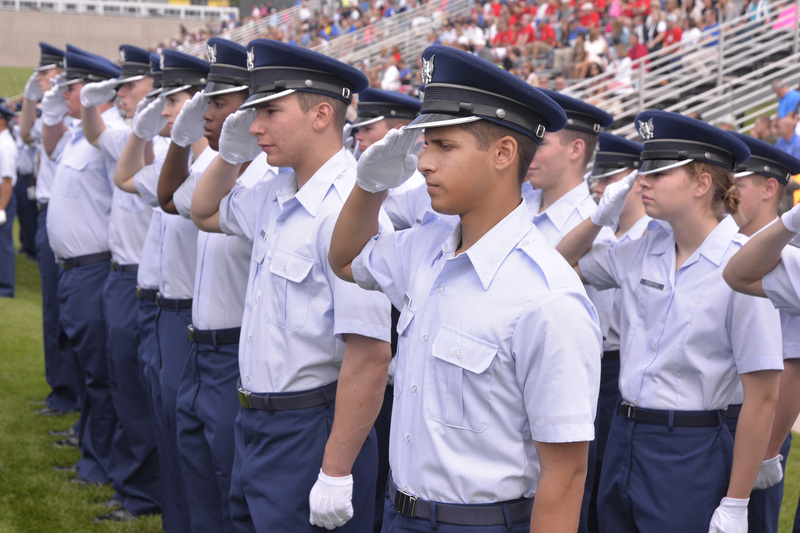 The core ensures all cadets receive a broad-based academic experience. With the core’s emphasis on science and engineering all graduates, regardless of their major, receive a Bachelors of Science degree. While most colleges require 120 credit hours for a bachelors degree, USAFA grads complete their course of study with over 200 credit hours. To provide even more breadth of academic experience, USAFA has over 800 international study opportunities each year. These range from semester-long exchanges with military academies in Canada, Chile, France, Germany, Japan and Spain to study-abroad programs in countries like China, Egypt and Russia. Focused on learning, the Academy has one of the smallest class sizes of any institution of higher learning in the country, sporting a student to faculty ratio of 9 to 1. 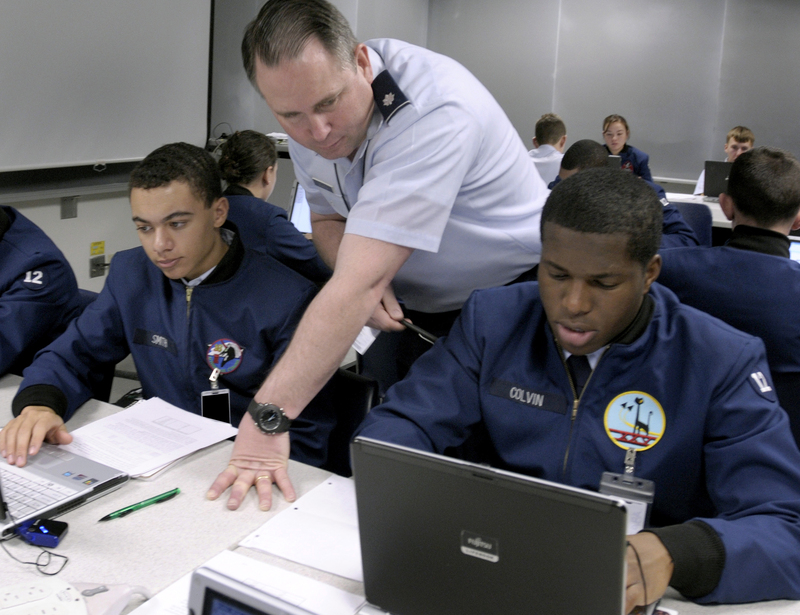 Unlike civilian colleges and universities, USAFA doesn’t use graduate students or teaching assistants in its classrooms. Military officers make up 63% of the faculty and all instructors are available to cadets every day outside of the classroom to provide tutoring and mentoring. The second focus of cadet development is athletics. What do sports have to do with leadership? Athletics at the Academy provide a foundation of leadership by building confidence, emotional control, physical courage, and the ability to perform under pressure. 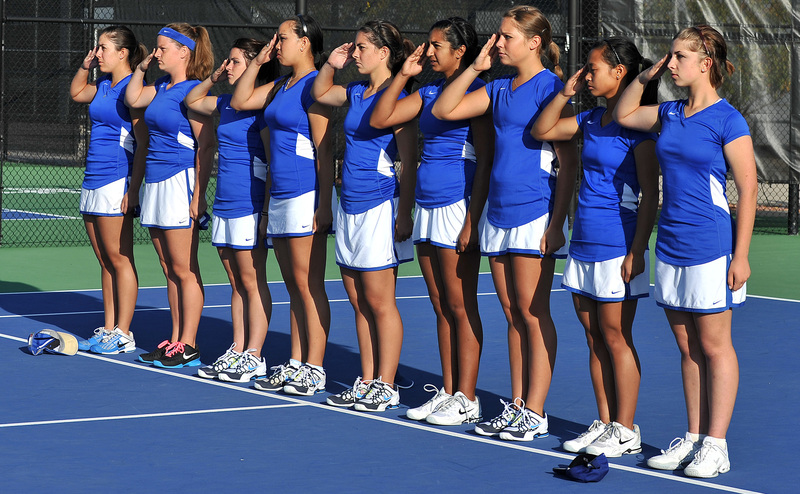 USAFA offers 29 NCAA Division I intercollegiate sports programs (17 Men’s, 10 Women’s and 2 Coed Varsity Sports) and is a member of the Mountain West Conference. 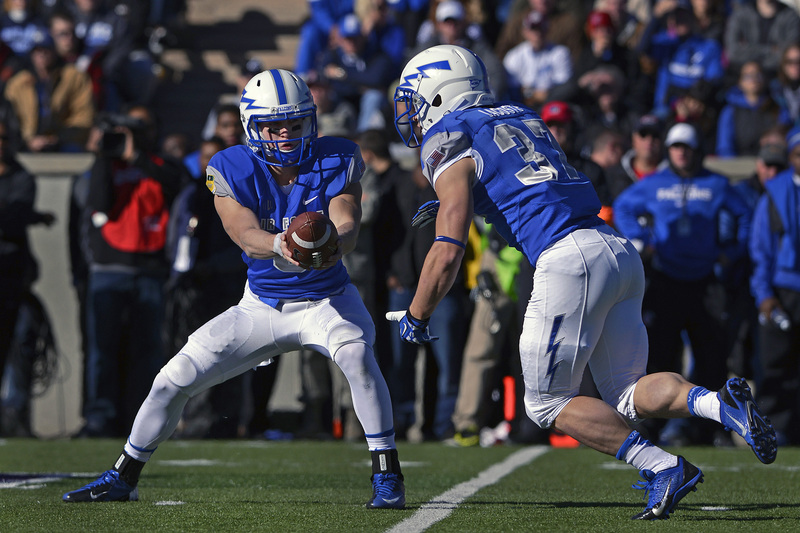 Twenty-two percent of the cadets at USAFA participate in intercollegiate athletics. Those cadets who aren’t intercollegiate athletes take part in a mandatory intramural sports program two days a week. Cadets compete in a variety of endeavors ranging from boxing to team handball. Sports are only part of athletics at the Academy. The athletic program also seeks to promote a foundation for a lifetime of physical fitness. Another way USAFA does this is through its fitness-testing program. 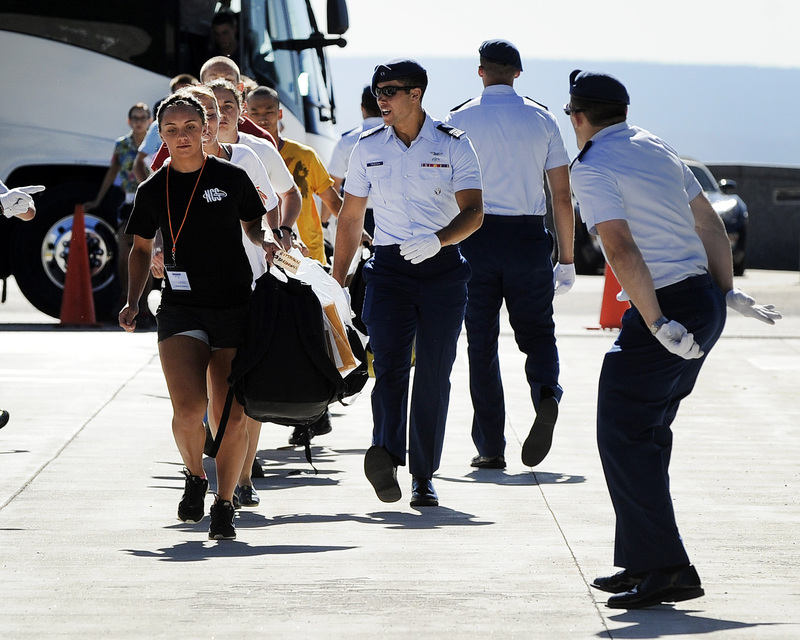 Each semester cadets take both the Physical Fitness Test (PFT) and the Aerobic Fitness Test (AFT). The PFT consists of push-ups, pull-ups, crunches, long jump and 600 yard run while the AFT consists of a 1.5 mile run. Keep in mind that the Air Force Academy is at an altitude of 7,258 feet, requiring an even higher level of fitness when compared to the same activities at sea level. The athletic facilities at the Air Force Academy are top notch. A 161,000-square-foot athletic complex includes fields, courts, pools and and an ice rink for hockey. The 23,000-square-foot Falcon Athletic Center weight room is one of the largest in the country. 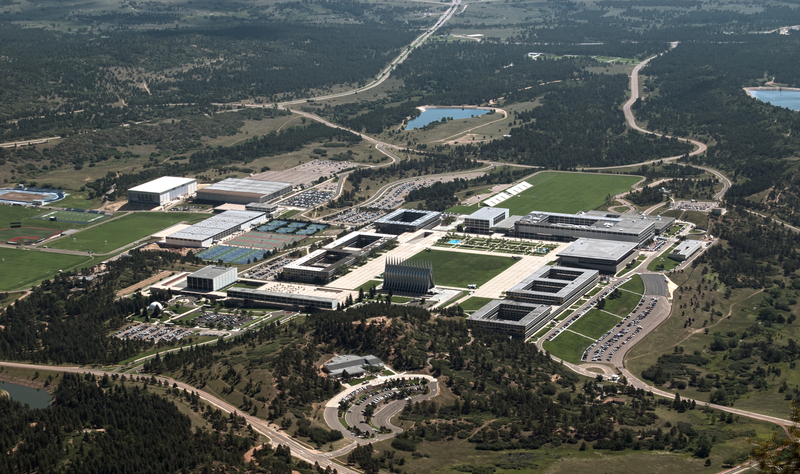 No Air Force installation would be complete with out a golf course and USAFA is no exception. The 36-hole Eisenhower Golf Course is ranked in the top 100 golf courses in the country by USA Today. In our next segment of “The Road To Wings,” we will continue our inside look at USAFA. We’ll learn more about military training and the character/leadership development programs, as well as an overview of the Academy’s aviation opportunities. We’ll also find out why it’s called “The Zoo.” Stay tuned!